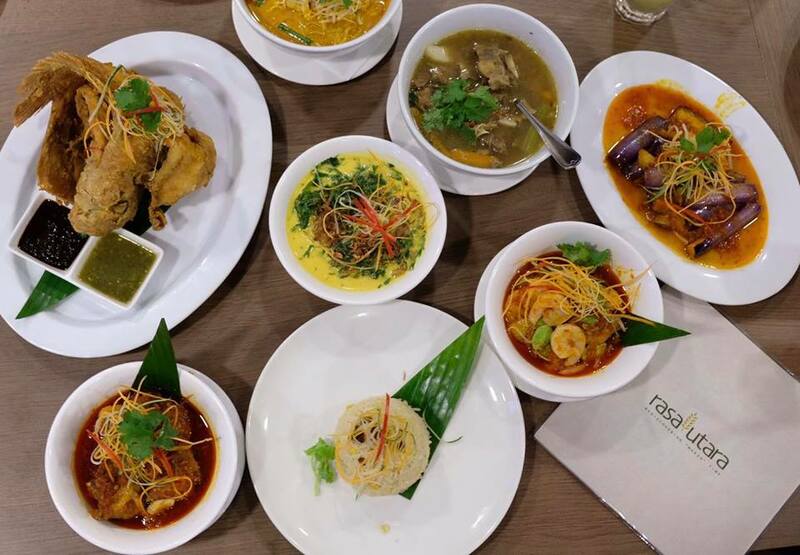 Established since November 1984, Rasa Utara has been committed to offering only the best to its customers focusing on authentic Northern cuisine at affordable prices. The restaurant has undergone revamp in 2011 with the relaunch of a brand synonymous with the Malaysian concept of makan time, from the restaurant decor as well as the items on the menu. Despite the fierce competition, Rasa Utara stands out from the crowd with its distinctive focus on the Northern fare, such as its signature Laksa Kedah, Ayam Goreng Cili Lagenda and Ikan Menari, among others. 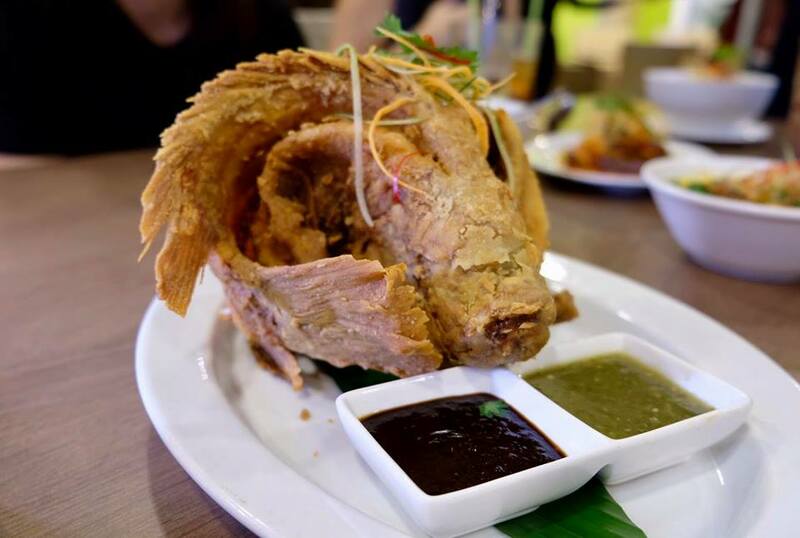 The contemporary setting, complemented with authentic, heart-warming food, Rasa Utara is the perfect place for families and friends to get together, whilst also being an avenue for the professional crowd seeking a genuine experience of the North. We visited Rasa Utara on our recent food hunt and happy to share with you some of our favourite dishes. Perfectly cooked, the soft and succulent squid stuffed with minced chicken and potato paired really well with the aromatic Kapitan sauce infused with spices and coconut milk. 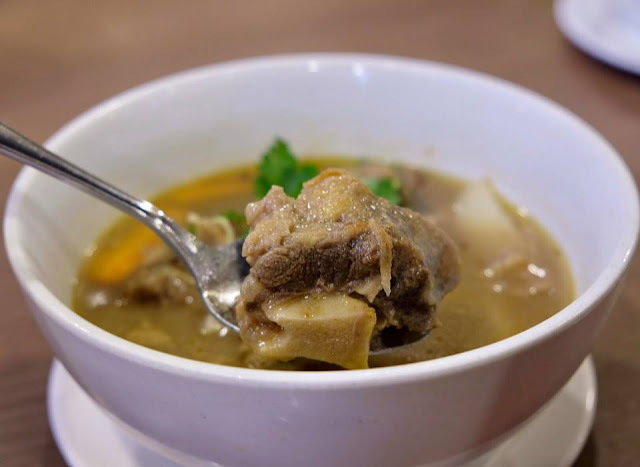 Served piping hot, the hearty soup packed a great flavour punch and laden generously with chunks of ox tail. 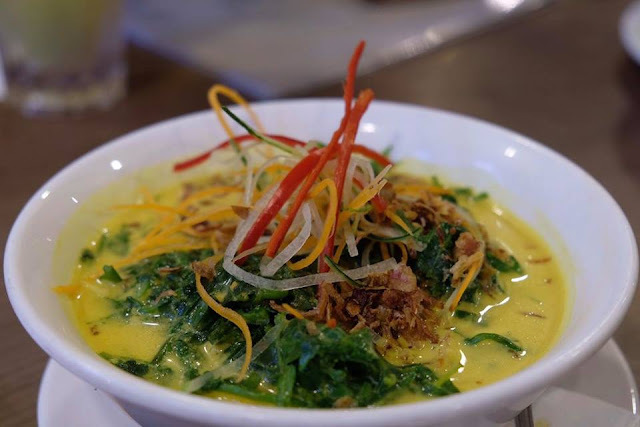 Local wild fern braised in turmeric, garlic and coconut milk, simply appetizing! 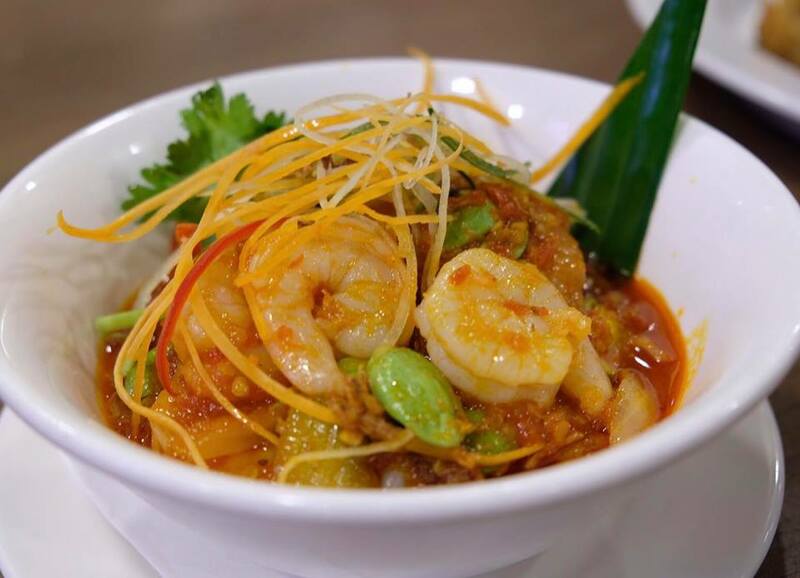 Fresh and succulent Tiger prawns stir-fried in special home made chili paste with absolutely crunchy petai. It was lovely and best accompaniment to the steaming hot rice, though a tad oily. 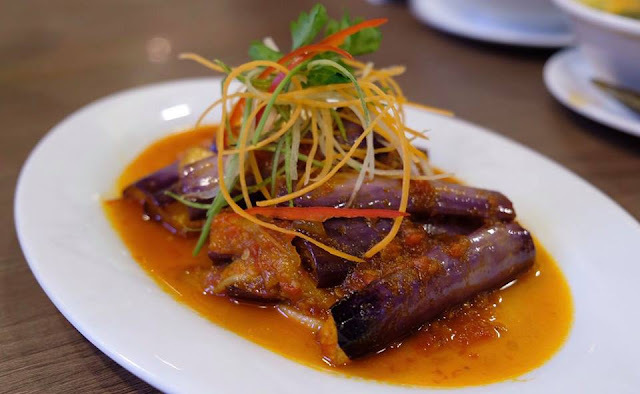 The brinjal tossed in homemade sambal paste and fried shallots was flavouful and fragrant, but a tad oily too. 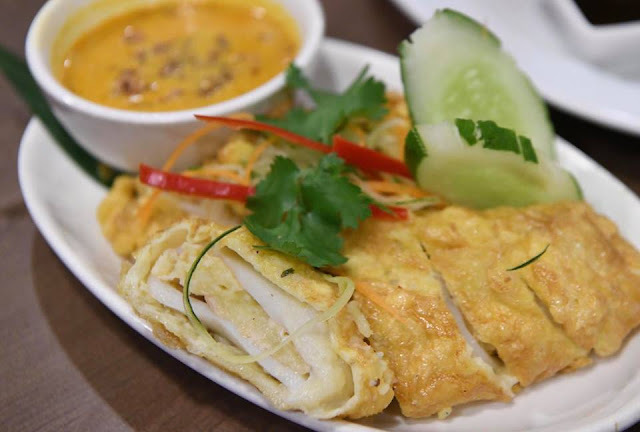 Rasa Utara's signature dish ,the freshwater fish marinated with spices and herbs was fried till crispy outside yet soft and fluffy on the inside. The signature blend of caramelised sweet soy sauce and sambal 'nuclear' (hot sambal) served on the side was the perfect accompaniment. 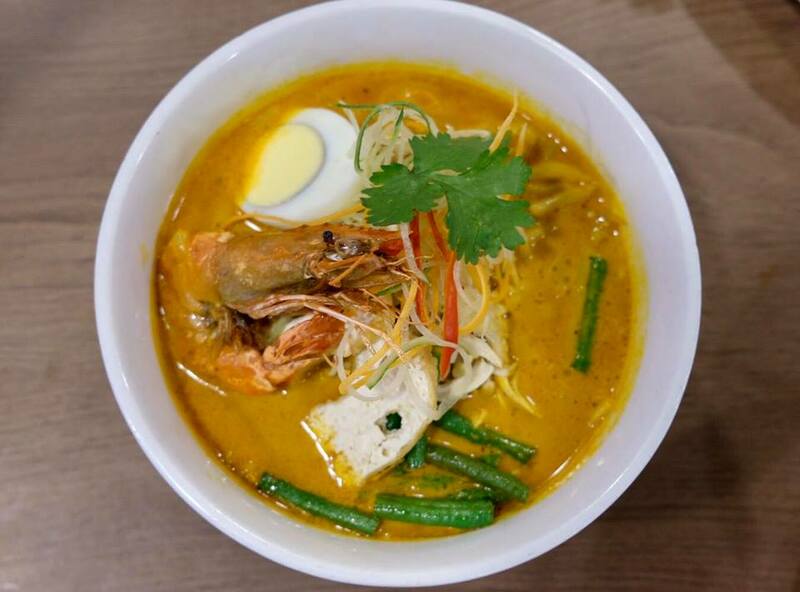 For noodles lover, you better not miss out this flavourful Mi Kari Udang. The noodles drenched in rich and aromatic curry soup served with fresh Tiger prawn, shredded chicken, bean sprouts, bean curd and topped with egg was simply delicious and so satisfying. 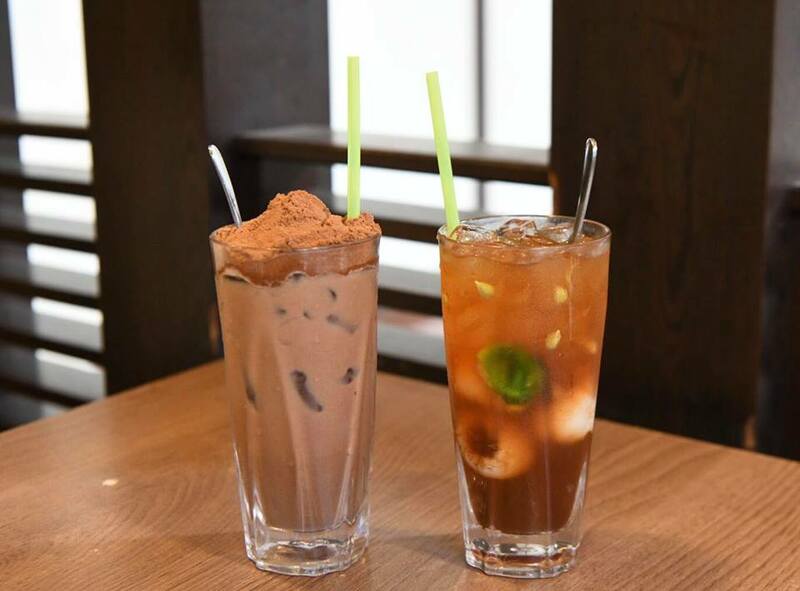 To quench your thirst, you could opt for the sinfully good Milo Gunung Keriang RM6.80 or the refreshing Teh 'O' Limau Laici RM6.80.